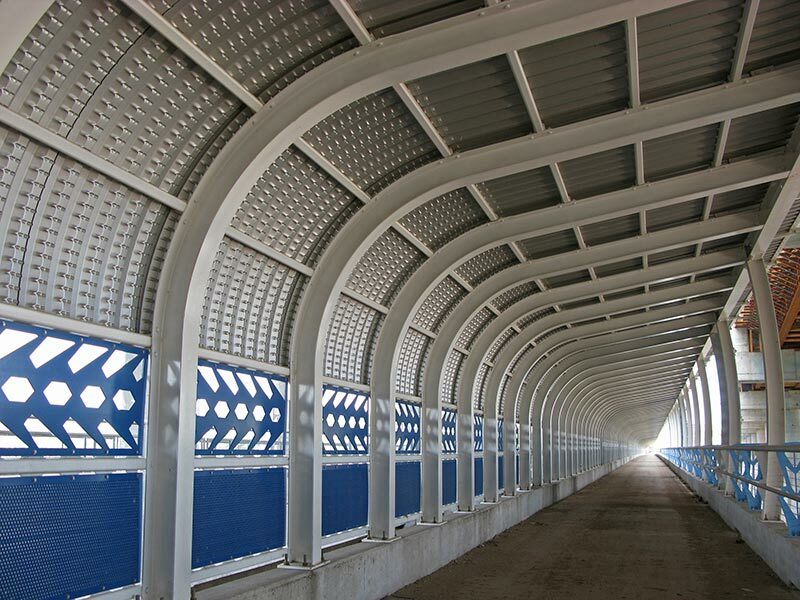 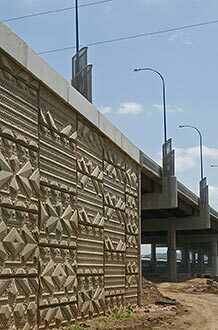 Over the Arkansas River on Route 66, this 1,300' long pedestrian walkway features sequences of Art Deco pattern panels recalling historic Art Deco in downtown Tulsa. 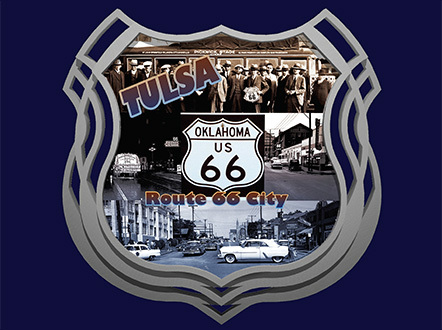 The walkway "centerline" includes twenty names of cities located along Route 66, from its start in Chicago to its end in Santa Monica. 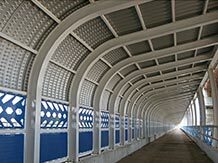 Other pedestrian walkway features include: a curved canopy form, roof design, custom railing, sequential color and lighting. 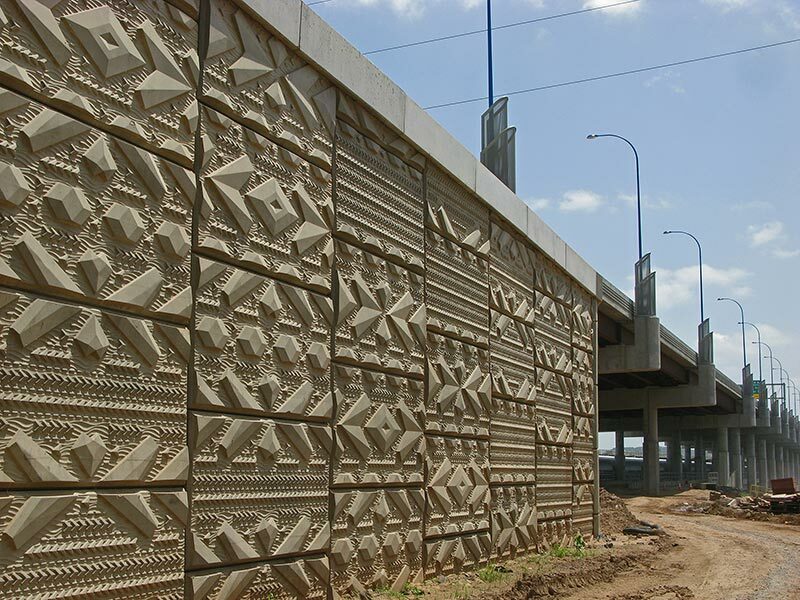 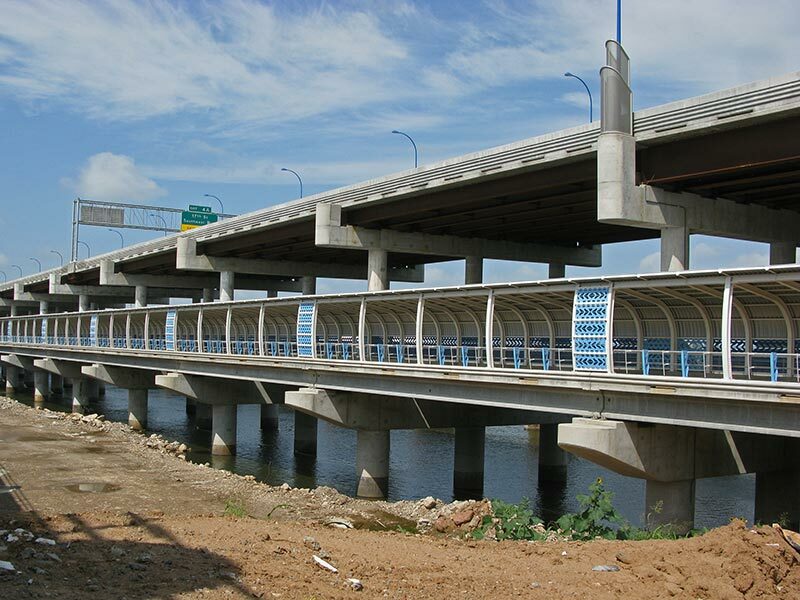 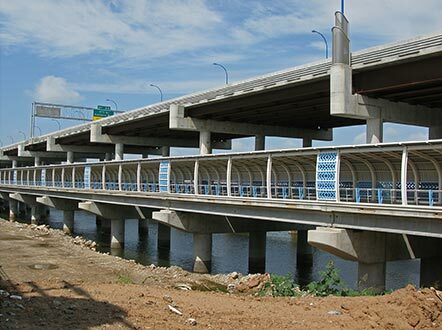 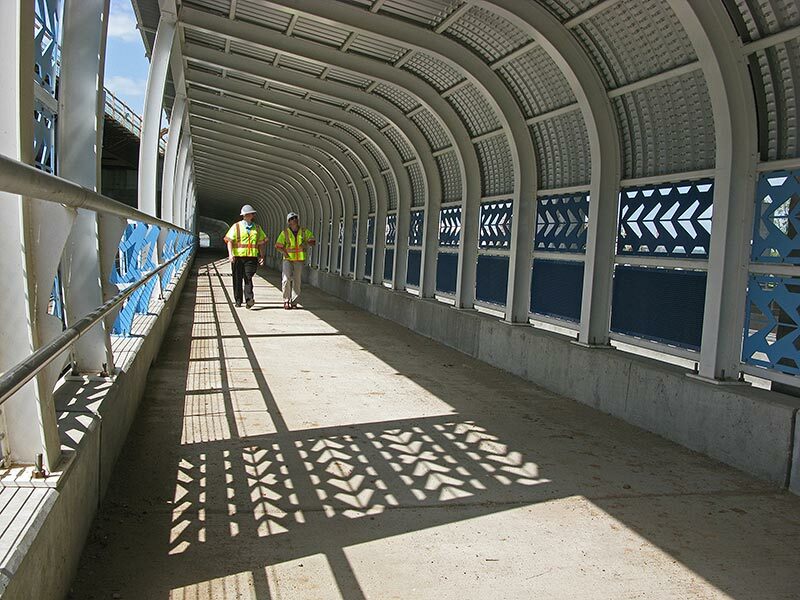 Related roadway bridge improvements include: Art Deco inspired light bases and concrete patterning for retaining walls and abutments. 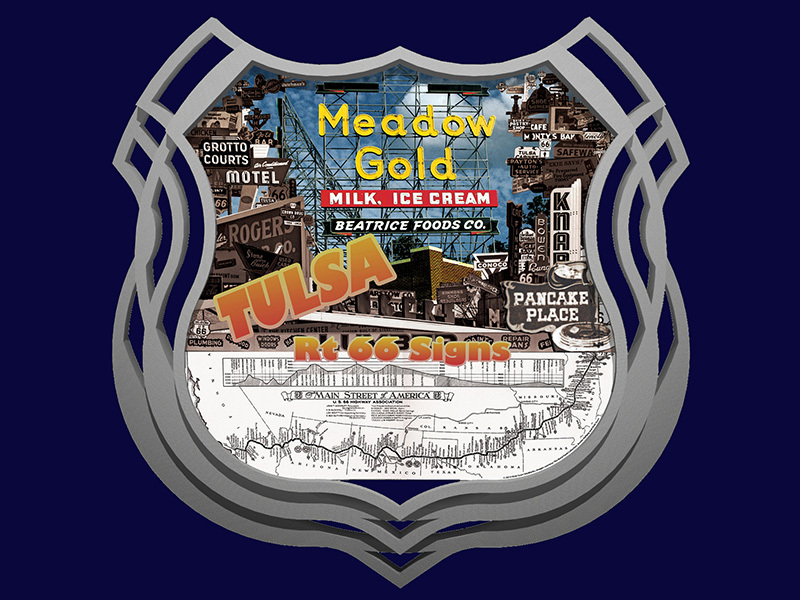 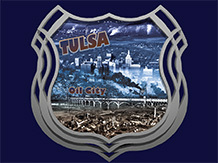 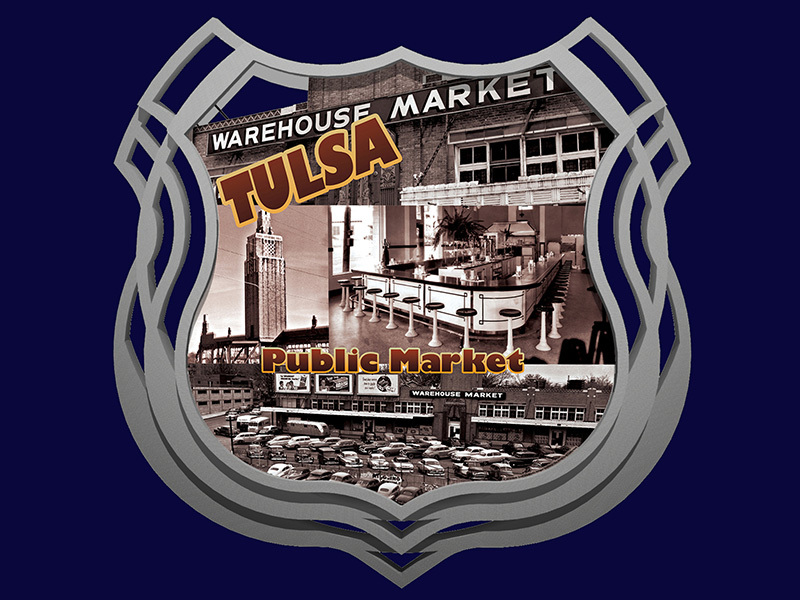 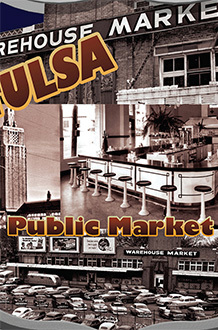 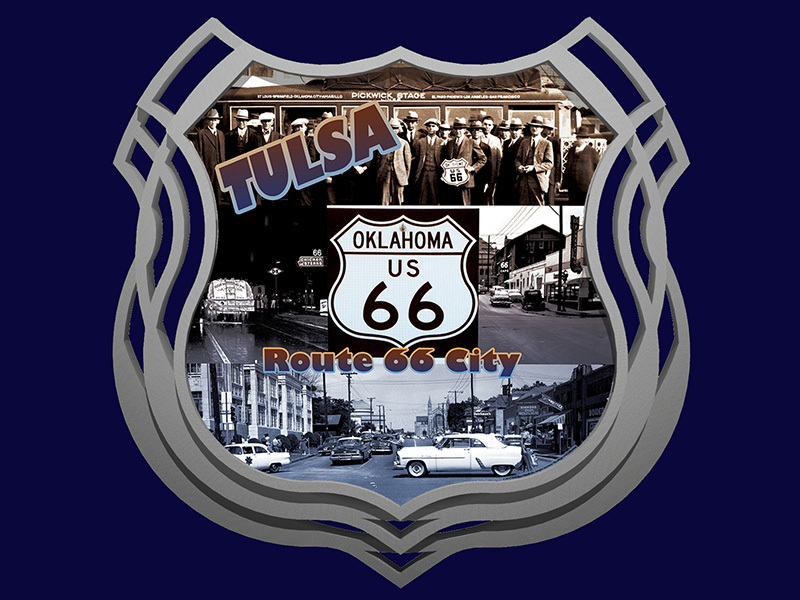 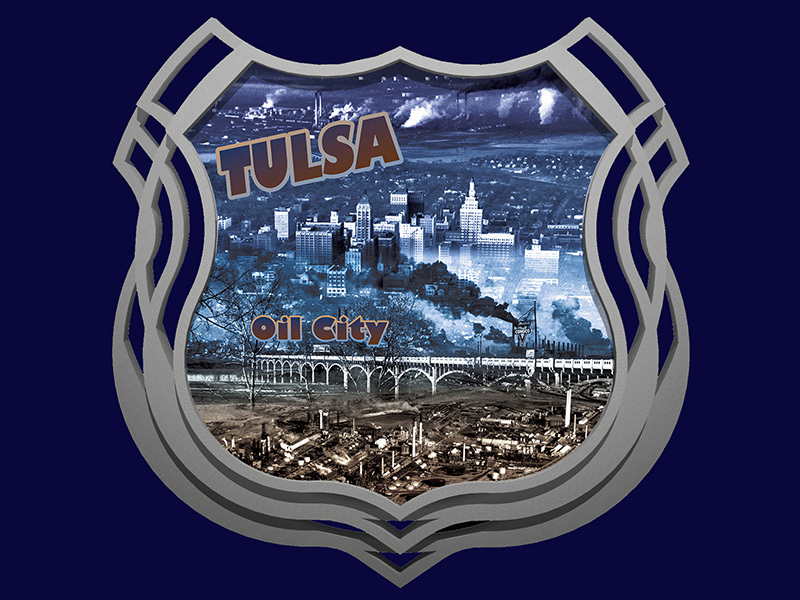 Inspiration is drawn from Tulsa’s Art Deco architecture in the downtown and historic Route 66.